The milieu of talent from Chicago has been on a continuum for well over a decade, but currently the city is ripe with musicians of all stripes plying their craft. Thanks to an abundance of music venues, community-driven projects and record stores with a commitment to subsidising and supporting local talent; the growth in up-and-coming singers, rappers and producers with distinct monikers has been exponential. It’s not all about ‘Ye, Chance the Rapper or the architect behind the city’s drill scene, Chief Keef. Behind them are a legion of artists co-existing, coalescing and creating music indebted to Chicago’s storied history as it is to reconceiving the sounds of tomorrow. This autonomous bunch are defined less by decadence, nihilism and delusions of grandeur, instead they’re expanding the perception of rap, R&B, soul, and jazz. Here’s our breakdown of 7 artists from the Windy City transcending the soundscape. Ravyn Lenae is already a bit of prolific prodigy, having released 3 EPs over 3 years. 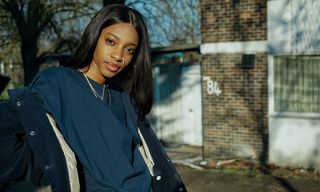 One third of the next-gen Zero Fatigue collective, alongside rapper Smino and producer Monte Booker, Lenae is classically-trained with a masterful understanding of genre and the contours of her expressive voice. A Kelela/Minnie Ripperton amalgam, capable of weaving together complex harmonies in a dreamy reverie of wistful, teen spirit soul, Lenae is honey-sweet and trite in equal measure. While some may see Lenae’s affinity for genre-hopping as a mark of indecision, in actuality this versatility is her calling card. On her Moon Shoes EP – a whimsical escapade that pulls the listener into her dreamscape – Ravyn navigates young love, relationships and the growing pains of that comes with being a teen. With Midnight Moonlight she went down the quiet storm terrain, evoking the lush ambient feel of Love Deluxe Sade. Yet it’s this year’s Crush EP that solidified her raw potential and paved the path for a more tangible and earthier sonic palette. Her single “Sticky” is her most popular track to date on Spotify, with just under 10 million hits. 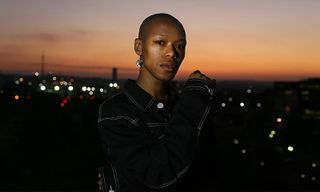 Produced alongside The Internet’s young funktronic pioneer Steve Lacy who grounds the songs with synthetic fuzz, Lenae’s coming-of-age songs have struck a chord with young women who find kinship with her affirmations on youth and relationships. Her words are morsels of strength and guidance for a millennial age having to grapple with an ever uncertain future. It’s abundantly clear that the future is Lenae’s to cultivate. If there is any artist that captures the generous vitality of Chicago’s arts scene, it’s Jamila Woods. A home-grown talent through and through, Jamila is a component part of an eclectic scene that unites poetry, positivity and empowerment – preserving and redefining the black girl magic slogan. 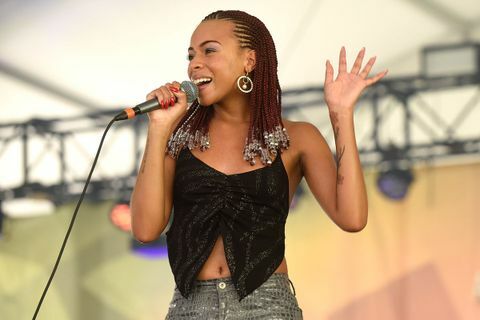 A Brown University graduate, Jamila lent her vocals to fellow Chicago artists Chance the Rapper, Kweku Collins and Saba. She gave Macklemore & Ryan Lewis their highlight on “White Privilege II,” audacious enough to avow “Your silence is a luxury” at the duo’s overwhelmingly white fan base. 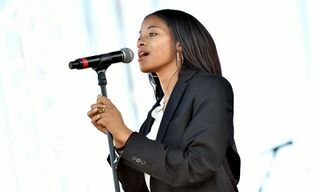 Around the time of that song’s release, Woods released her own militant “Blk Grl Soldier,” serving as the centrepiece of her debut album HEAVN. The record melded together her love of poetry with gospel and hip-hop. The project is both an homage to the colourful characters that inhabit her hometown in addition to serving as a cathartic but radical manifesto on black self-love. Just recently Woods dropped her first material since 2016, a track titled ‘Giovanni’ released alongside a short film with spoken-word interludes. A tribute to the generations of women that have shaped her sense of self, including poet Nikki Giovanni for which the track is named, it corresponds with a sincere give-back ethos. Juggling a flourishing music career with her role as an Associate Artistic Director of Young Chicago Authors – a collective augmenting upcoming poets and writers – Woods is safeguarding the legacy of her and her community’s narrative. Have a peruse through Twitter, and you’ll get a snapshot into what the world thinks of Saba. He’s the viable storytelling alternative to modern rap. 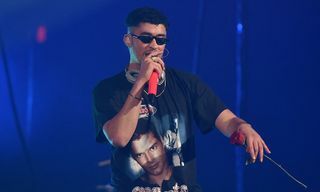 Born Thaj Malik Chandler, Saba grew up in a music-oriented family, inspired by the likes of hip-hop greats Bones Thugs-n-Harmony, adding credence to his tenet which is built on substance over style. His debut mixtape GETCOMFORTable was as much a showcase into his precociousness as it was to a catalogue of upcoming Chicago talent. Chicago take care of their own. At just 21 years old, he featured on Chance the Rapper’s “Angels” off the widely successful Coloring Book. Passing the Chance litmus test, and growing in confidence as a triple threat, his debut album – 2016’s Bucket List Project – fulfilled Saba’s earlier promise, a funky, feather-light escapade that intended uplift and inspire. His sophomore effort Care For Me proved to be a pivotal turning point. Released earlier this year to acclaim, Saba chronicled his growing success with the ghosts of his past. It was during the recording of Bucket List Project that Saba’s closest cousin, Walter, was murdered in Chicago. Care for Me charts the internalised trauma in the wake of that tragedy. Grief in all its myriad forms is ever-present in a haunting record that is visceral, poignant and frankly, spellbinding. It’s certainly up there as one of the best hip-hop albums of the year. If you need more evidence of his immeasurable talent check out his NPR Tiny Desk Concert. Mick Jenkins was born in Alabama but moved to Chicago after his parents’ divorce. Influenced and subsequently endorsed by Young Chicago Authors and their open mic nights, an impressionable Mick was ignited by a love for writing which translated to a love of rap. Producing a perennial conveyor belt of releases since 2012, Jenkins has ensured he’s always on the rap radar and the conscience of fans and casual listeners alike. From his career-defining mixtape – The Water(s) – to his love-themed, gospel-esque album The Healing Component, which zoned in on love as the enabler of all things; the intimate kind and the universal, Jenkins uses his songs as opportunities to incite change, to protest and to do away with the status quo. His brooding poetry is steeped in a spirituality that adds a literary depth to his narrative. He is a writer and linguist first and foremost, and hip-hop is the vehicle through which he communicates. The good thing is, as you read you this, you can enjoy his just released opus, Pieces of A Man. A contingent of hip-hop commentators felt Jenkins lost a bit of his spark but he’s back after a hiatus to reclaim his space amongst the greats. The era commenced with a slew of singles, including the redemptive Kaytranada-produced cuts “Padded Locks” and “Understood,” Jenkins ruminating on the roles of men in all their pretexts, zoning in on the generational ripple-effects and the enterprise of mentoring and endorsing one another within the hip-hop community. It’s typically Jenkins and be prepared, he has a few things he’d like to get off his chest. Booker is the sound of Chicago’s future. He may have garnered most of his appeal from his production on Smino’s debut LP, yet one glimpse at his SoundCloud or his (recently updated!)  Bandcamp page and its clear as day that Booker is an inexhaustible creator, his page teeming with re-works and remixes, honing his craft and expanding his already impressive repertoire. He’s the man behind the beats for many of Chicago’s rising artists. The founder of the Zero Fatigue Collective and signed under the cutting-edge Soulection label, Booker favours DIY craftsmanship to mass-produced homogeneity. A production whiz-kid, Booker has a signature sonic imprint that revels in the intersection between sparse funk and cosmic ambience. Drawing from a diverse set of influences that include the likes of Timbaland, Flying Lotus, Neptunes, and Kanye West, Booker defies a trap-heavy landscape with an emphasis on percussion – equal parts organic and synthetic. It’s tripped out and hazy, quietly kinetic, allowing his guests and his listeners the freedom to express themselves. Watch this space, he’s on the brink of the big leagues. Born in St. Louis, Smino, real name Christopher Smith Jr., later moved to Chicago for college under the tutelage of his older cousin, singer Drea Smith. He later dropped out and pursued his passion of music full time which has led him down a path of self-made, independent glory. Through releases such as 2016’s blkjuptr EP and his 2017 debut album blkswn, Smino projects a feeling of solidarity with his listeners, starting a dialogue on universal topics such as love, mental health, identity, as well as the pitfalls of a digicentric world without ever descending into humdrum melodrama. When Smino raps, the world listens. blkswn put him on the map as an off-beat, idiosyncratic star of hip-hop. His cadence is languid but lucid; flitting between a half-rap, half-sung staccato. Utilising the upper most register of his voice, Smino is one of a select few that can venture into psychedelic territory without coming across gimmicky. Much of his record was laced with an effervescent energy that encouraged the listener to hop in and enjoy the ride. 18 tracks deep, bookended by a near 8-minute odyssey “Amphetamine”, it’s clear Smino’s intention to create an expansive experience correlates with his unerring belief as an artist. So what’s next? 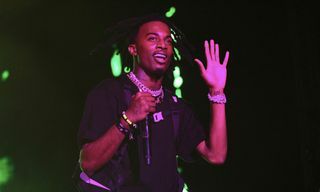 A one-off single “New Coupe, Who Dis?” released back in May teased the beginning of a new era. Coinciding with the transient nature of hip-hop releases, Smino just dropped his sophomore record, titled Noir, this week. In lieu of the standard announcement, Smino offered a taste of what’s to come in the form of the feel-good, Sango-produced cut “L.M.F”. If it’s anything to go by, Smino’s about to mark his territory among the rap elites. Consider us braced. If you haven’t heard of the nameless Noname, where have you been? Just because Fatimah Nyeema Warner isn’t an omnipotent poster girl for rap like Nicki or Cardi, does not mean she is any less vital to the genre. Noname rose from the Chicago poetry scene with little fanfare. Yet through word-of-mouth, her dense, dexterous wordplay has become some of the most vivid, woke and multi-faceted in the rap game period! Her mixtape Telefone, put her on the map as a deft poet meditating about the perils of twentydom. Yet where Telefone felt whimsical, fragmentary and elusive, her debut album Room 25 feels utterly self-aware and sure of itself. Since its release a month ago, Room 25 has impressed listeners and critics alike, currently holding the No. 1 spot on Metacritic with an aggregated score of 94 for all new mainstream releases this year – we even gave it a 4.5 out of 5 in our review. Noname’s fragrant rhymes and her effusive cadence are laced with the irony, humour, pain and bare-boned introspection that is a rarity in music. She has to occupy her own lane in order to succeed. Her perspective on the discrepancies of minority identity are equal to or even superior to her peers, because she conveys so much with so little. Noname possesses the ability to convey a history of internalised trauma through vivid technicolour poetry – subverting the very essence of rap and the braggadocio surrounding it. Her lucid, distressed jazz instrumentals are beautifully rendered, preferring her words to linger like the rapture of smoke, before they disintegrate altogether. Where her peers spit bars over a club-ready beat, Noname would rather lull the listener into a suspended state where they are forced to face and cavort with their own demons. She is the real deal. For more like this, revisit our list of 10 Ethiopian rappers you need to know.